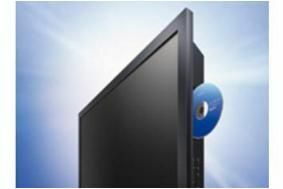 JAPAN: Sony launches 3D Blu-ray recorders, both standalone and integrated in TVs | What Hi-Fi? Now Sony is building on that trend with the arrival of the first of six new 3D BD recorders, due in Japanese shops toward the end of September. And the company won't just be selling standalone 3D Blu-ray recorders: due on sale in December is a range of three 3D TVs complete with built-in Blu-ray recorders. The new 3D recorders, which will have hard disks ranging in capacity from 320GB to 2TB, are expected to sell at prices from Y90,000 (£680) to Y270,000 (£2040). They will feature fast 0.5sec start-up, and will be able to record two hi-def programmes simultaneously. The HX80R TV series, due in the shops toward the end of the year, combines 3D LCD TV with a 500GB hard disk and Blu-ray recorder. Expected to sell at between Y300,000 and Y440,000 (£2270-£3325), the sets will come in 40-, 46- and 55in screen sizes.